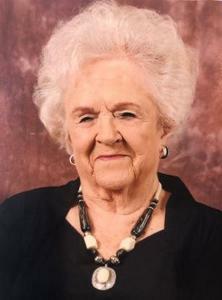 Doris F. Van Huis, age 95 of Holland, passed away December 11, 2018 at Medilodge. Doris was preceded in death by her husband Henry Van Huis in 1982; sisters, Lois Bekken, Arlene Di John; grandson-in-law, Joe Johnson; and great-granddaughter, Delana Timmer. She is survived by her daughter Dianne (John) Flokstra; granddaughters, Michelle (Jon) Working, Melissa (David) Timmer, Margaret (Kurt) Haverdink; great-grandchildren, Mason Timmer, Dylan Timmer, Alexander Haverdink, Hannah Haverdink; and brother, Arthur (Shirley) Johnson. A visitation is scheduled for Friday, December 14 from 4-7pm at Dykstra Funeral Home – Mulder Chapel, 188 W 32nd Street. Funeral will be Saturday, December 15 at 11am also at Dykstra Funeral Home – Mulder Chapel with Rev. Matt Stob officiating. In lieu of flowers, the family asks to please consider a donation to Hospice of Holland.